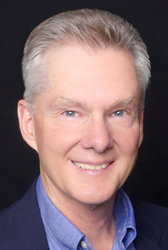 Colorado RE/MAX Realtor Phil Barru named to RE/MAX Hall of Fame, and pledges to donate a portion of each closing in 2019 to charity. I have lived in the Denver area since 1983 and my wife Jennifer is a Lakewood native. We are very grateful for our prosperity and take pleasure in giving back to our community by supporting a variety of local charities. “I have lived in the Denver area since 1983 and my wife Jennifer is a Lakewood native. We are very grateful for our prosperity and take pleasure in giving back to our community by supporting a variety of local charities,” said Barru, broker associate at RE/MAX Professionals, who works throughout the Metro area with a specialty in central Jeffco homes as a listing agent, buyer’s agent and consultant to both seasoned and beginning investors. Furthermore, Barru has pledged to donate $100 from every closing this year to one of four charities of the client’s choosing: Professionals Miracles Foundation, Jeffco Action Center, NAMI Colorado, Community Table. Professionals Miracles Foundation helps families of sick children in their time of need. The Action Center provides basic human needs and pathways to self-sufficiency for Jefferson County residents and the homeless. NAMI Colorado provides advocacy, education and support to individuals of all ages and to families impacted by serious and persistent mental illness, whereas Community Table serves the needy and vulnerable in the community. Barru has more than 39 years of experience as a real estate professional. During the course of his distinguished career he has made a name for himself for investing in his clients as humans and getting to know them in order to truly understand their real estate needs. In addition to real estate, Phil is an avid skier and cyclist who loves many outdoor activities including hiking, gardening and walking. He loves spending free time with his wife and their two grown children, who both live in the Denver area. Phil Barru works with both buyers and sellers and is a Residential Real Estate Specialist, Listing Specialist and Investment Property Specialist. He serves the Golden, Arvada, Lakewood, Wheat Ridge and Littleton areas. For more information, please call (303) 233-8285, or visit http://www.philbarru.com/ or https://www.facebook.com/PhilBarruRealtor/. RE/MAX Professionals is located at 143 Union Blvd., Suite 120, Lakewood, CO 80228.